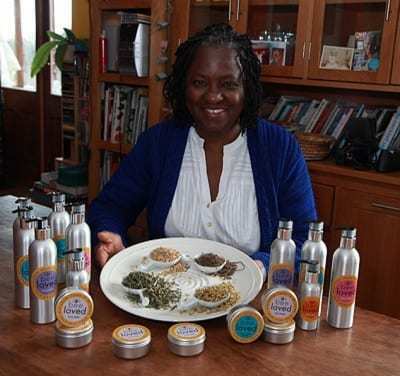 As a trained acupuncturist and herbalist, I have always been interested in making my own skin care range. I started experimenting with the beeswax from my own hives, mixing it with herbs from my garden. Growing up in Havana Cuba, big brand cosmetics were hard to find so I learned how to make what I needed to keep my skin healthy. It was just our way of life back then; using local, natural ingredients to make the things we couldn’t buy. With Mother Nature, a hive of busy bees and a few of my granny’s secrets, I have developed the Bee Loved range of natural skin care products. Like my granny, my team believes in working with the best ingredients that nature has to offer. Every pot of Bee Loved cream is made with love and respect for our natural world. As my granny would say if you don’t know where it comes from, then you don’t know if it has been made with love, and every body needs to bee loved. Everyone on our street had their own speciality. Pedro Cazadilla was our go-to man for mosquito bites, Ita from our block was known for her famous cough sweets and my granny Abeulita Epifania made skin creams. People came from all over the city to buy pots of her foot balm. Her magic mix of black walnut hull and chaparral leaf was a favourite among salsa dancers. Nothing could get sore, tired feet back into dancing shoes faster than Epifania’s foot cream. Thanks to my granny’s wise advice, I have always used local herbs and essences to nourish and protect my skin. Moving to Ireland over twenty years ago opened up a whole new world of herbal cures and now I mix the best traditions of my two island homes.